This Michellia has a blue tinge to its leaves. 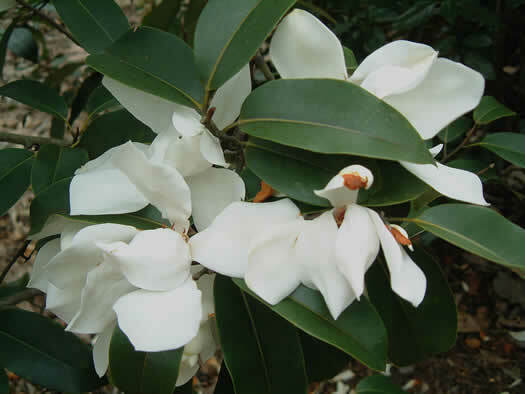 It produces large white slightly scented white flowers. In winter, in cold climates, the leaves can turn yellow. Great screen or specimen plant.